Think I need to burn my copy of the first book, but can't wait for the second... assuming he tries to make a bit of cash off his "struggle with 'roids". And to think I once thought this guy was a great example to kids. 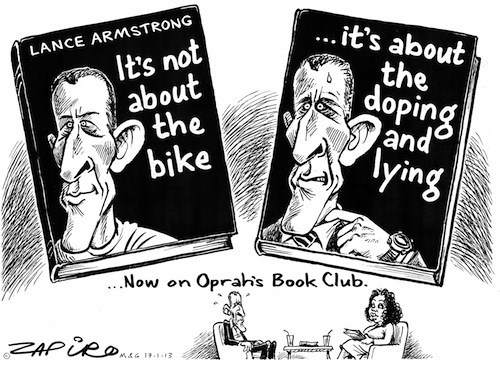 Kids, Lance Armstrong is still a great example... of what NOT to do. Be more like Iván Fernández Anaya instead.